Premium entertainment network EPIX announced that “Who the F**k is Arthur Fogel?” will make its World Premiere on Wednesday, January 29, at 8PM ET. 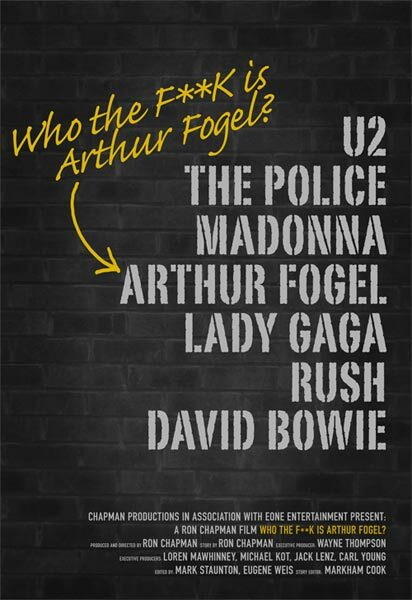 “Who The F**k Is Arthur Fogel” pinpoints the turning point in Live Nation Entertainment CEO Arthur Fogel’s career — and the global touring business — and has been directed by Fogel’s lifelong friend Ron Chapman. I think that in all honesty I’ve learned a lot from her abilities to promote, market, see things, which way to go. She has tremendous instincts and because she’s so iconic she has a tremendous ability to influence press and profile. She’s very savvy at how she uses those opportunities. It’s a great skill. She’s at the top of her game after 27, 28 year in and that’s pretty incredible.